… the action and slide of the Jericho sit tight inside the frame and as a side effect, reveal little of the slide itself for weapon manipulation. Unlike say, my square Glock which gives me lots of real estate for racking and manipulation, the Jericho gives much less purchase. Consider this a negative if forced to manipulate the weapon when wet or in slippery conditions. Fair criticism, of course. IMI apparently took this to heart when they designed the Barak, which has the large, easy-to-grab, and ugly rear sight “hump”. But… this is also specifically a problem with the newest generation of Jerichos. The sights on the new imports are of the “snag-free” variety. However, if you look at the older IMI guns, they’ve got a much different design – very vertical, thick, and “snaggy”. The advantage is that the old style sights make the slide much easier to manipulate. You simply grab the top of the slide and push back against the rear sight. Want to be a real operator and do a one-handed-against-the-table slide manipulation? The old-style sights were awesome for that. In fact, the old-style sights were pretty great in general, so I’m not sure why they changed them. Snag-free isn’t everything. You may not be aware of this, but ammo has gotten pretty cheap these days – almost the cheapest I’ve seen it since 2008. 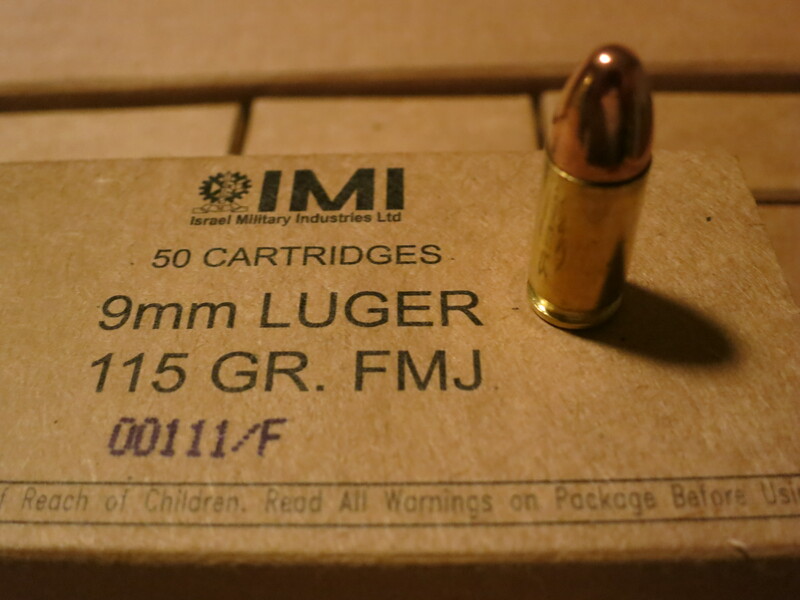 You can get quality brass-cased 9mm ammo for 20c a round, and steel-cased 5.56×45 is not far behind. As long as you’re not into .22lr, this is a good time to be shooting. 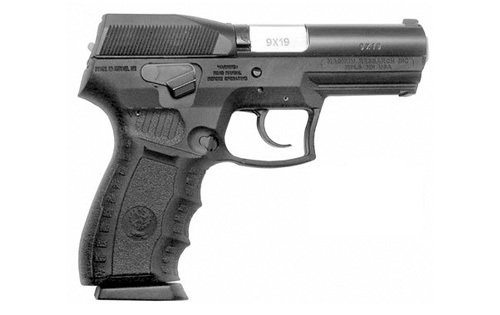 One of the most maddening Israeli-made handguns to track down has been the “IMI Revolver 9mm”. There is simply very little reliable information about it floating around on the internet due to its age and lack of commercial imports. There are conflicting accounts of what caliber the revolvers were chambered in (9×19, .38 Special, or 9×21), whether they were based on the S&W 1917 design or S&W Model 10 design, and whether they were ever produced in any real volume. (All sources agree that they used half-moon clips, which at is something, I guess.) 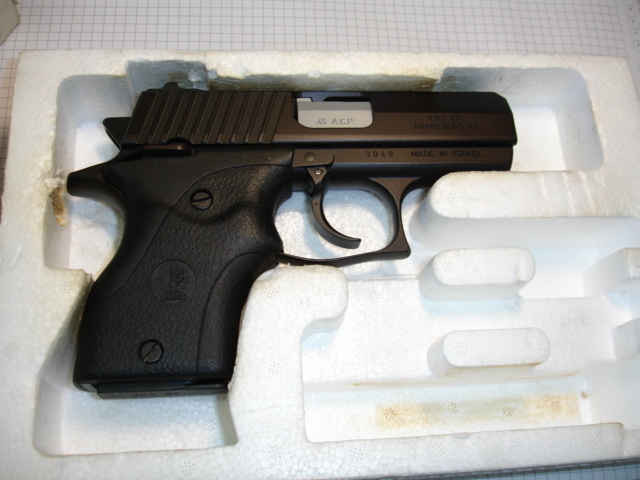 Internet legend has it that the Israelis made them for the Palestinian Authority’s police units after favorably evaluating the 9mm S&W Model 547 (a different gun entirely), but the total lack of them in imported Israeli police seizure lots is baffling, if that is true. I have spent some time researching the issue, and I think I’ve got a better theory as to what’s going on.